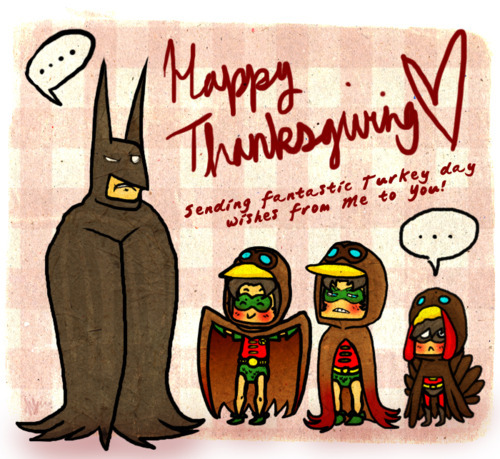 Happy Thanksgiving from Me and Batman!! LOL! Happy Thanksgiving ladies! Hope that you all get to spend some quality time with your family, friends and some delicious grub!! Thanks Shelli!! Happy Thanksgiving to you and yours!!!!! LOL! Happy Turkey Day to you and yours Shelli! Happy Thanksgiving Shelli, to you and your family!!! Happy Thanksgiving Shelli! I am thankful that I found your blog…lots and lots of positive inspiration from a beautiful woman! Keep doing what you do and know that it really makes a difference. God Bless!